1. How do you think Joseph managed to handle the change that happened in his life? From prison to second person in the kingdom? Discuss together how you imagine it must have been like? 2. Can you think of modern-day people who have started with nothing and become powerful or rich? What do you think are the dangers of this? 3. Joseph appeared to live in the moment and yet he was planning ahead. 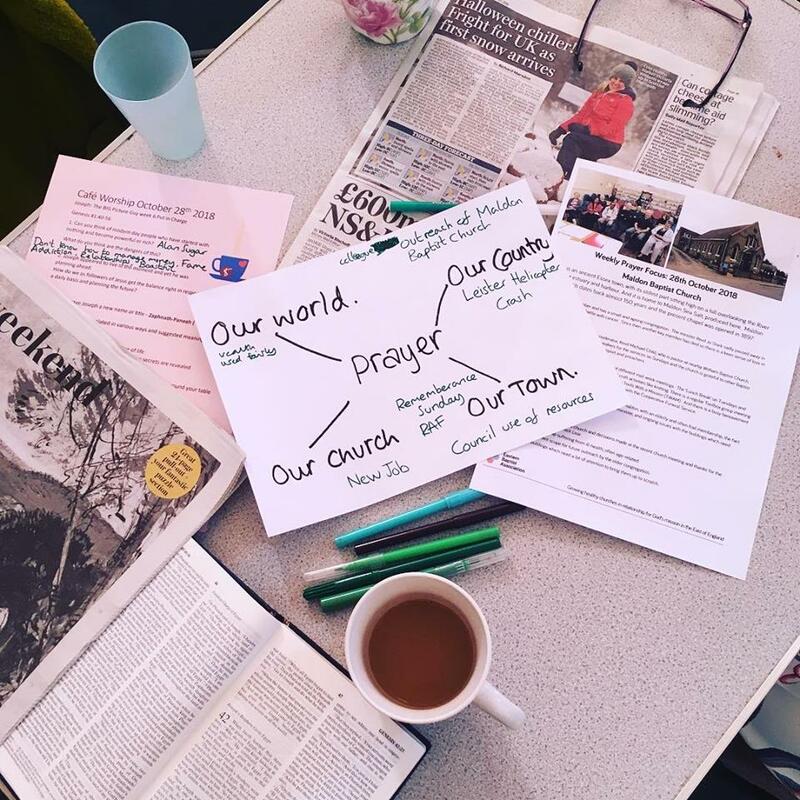 How do we as followers of Jesus get the balance right in responding to God on a daily basis and planning the future? 4. When Joseph was building storehouses and planning for famine, it must have been like Noah when he built the Ark. To ordinary people there didn’t seem any reason to keep grain when there was a good harvest. People must have been sceptical and rather amazed or amused by it. Joseph stuck to the task, kept going. List all the strengths of Joseph’s character that we have seen so far in the story that would help him in his task. Which ones are the most difficult to develop or live out in our lives? 5. Can you think of any similarities/parallels between the lives of Joseph and Jesus? 6. What do the names Joseph gave to his two sons tell you about Joseph? 7. Key words this week are Abundance, Famine, Power and Prudence. Look up the meanings of these words and in prayerful thought before God consider what meaning they may have for the church today as well as for ourselves individually. Personal Challenge: What part or which detail of Joseph’s story has had the greatest effect on you and why? How can you use it for your own spiritual growth and faith journey? We invite you to join us at 10:45am this coming Sunday October 28th for our monthly cafe style worship. It will also be Week 6 in our series on Joseph: The Big Picture Guy, this week’s instalment is called ‘Put in Charge’. Our Minister Sally Sago will be leading, and there will be provision for children. All welcome, we are just down the road from Costa in the King Street pedestrianised area of Thetford, postcode IP24 2AP. 1. How well do we practise gratitude and thankfulness? Spend time thinking about our church text, Colossians 2:6-7. How are you walking with it at the moment. Is it helpful? Is Jesus Lord of all your life? What areas are difficult to let him rule over? Relationships, Finances, Physical body, Thoughts and emotions, Work, Spiritual Life, Possessions? 2. We saw this week that Joseph was a credible man. Think of people who you regard as being credible. What it is it about them that makes you regard them in this way? How well do we identify credibility and incredibility in others? 3. Joseph spoke about his God, to an unbeliever, boldly, with confidence when he was given the opportunity. How well do we speak when we have the opportunity? What would help you to be more confident? 4. Can you think of a time when God used you as part of his plan? Or have you seen him use others? 5. Discuss the words Redeemed, Restored, Rescued, Rewarded, Raised up, in terms of your Christian faith and your life. 6. Sharing the gospel is a way of being incarnational. Human but engaging in the divine plan of God. Taking God into our neighbourhood, into our everyday lives. In what ways can we do this? Share ideas or situations where this is happening. Imagine new possibilities. Remember someone this week. Call or visit them, send a card, give a gift. Practice kindness, gratitude and thankfulness. 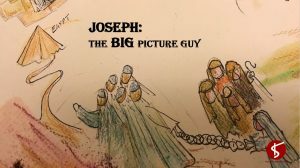 We invite you to join us at 10:45am this coming Sunday October 21st for Week 5 in our series on Joseph: The Big Picture Guy. This week’s instalment is called ‘Pharaoh Dreams’. Our Minister Sally Sago will be preaching and also leading the music worship. The morning will include communion. All welcome. 1. V1-4 introduces 4 characters. All have different perspectives and attitudes. Imagine how each one of them may have been feeling. 2. V7 Joseph asks ‘why do you look so sad today?’ His compassionate and sensitive nature are shown by a direct and meaningful question. How easy do we find it to ask such questions of others? Do you think it is a good thing? 3. V8 Joseph is clear that interpretation belongs to God. He does not claim to own it and points others in God’s ways through his answer. Dreams of the future are also gifts from God and God gives Joseph the gift of interpretation, so Joseph is using the talent/gift God has given him even in bad circumstances. What Gifts has God given you? How are you using them? (Everyone has strengths and gifts but sometimes they get forgotten, become unused or are overlooked). How well do we serve others, using our gifts, and happily receive no recognition? 4. The dreams in this chapter are the breaking in of God’s plans and show that Pharaoh was not as powerful as others thought him to be. He was limited as he could not discern what his own dreams meant. Joseph was able to discern and interpret their meaning. How important is spiritual discernment for Christians today? Knowing God’s will in situations. How do we practise it? How can we get better at it? 5. V14 we see Joseph’s personal story and struggle as he pleads with the cup bearer to remember him and help release him from the prison. He is God’s man but he still needs others to help him. As Joseph did we also live in a place between knowing God’s love, that he is all powerful and good (and that we are saved through Jesus which Joseph didn’t know), and yet on this earth we are still in need, still suffer and life is not always good. This is a ‘Big Issue’ for us today. Living in that in-between place, what do you think we need to practise as we wait? 6. What can we learn from the following scriptures about times of difficulty? Psalm 13, Isaiah 49:13-16, Luke 12:4-7. 7. 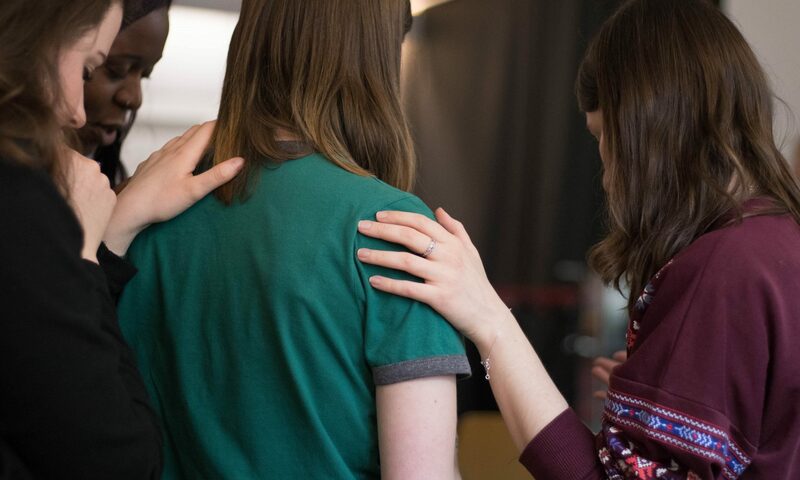 All of us have times of waiting for one thing or another, there are many examples of waiting in the bible – Sarah for Isaac, Hannah for Samuel, David’s time after he was anointed and before he became King, Paul in prison. Can you think of others? How well do you wait? What character traits do we need to wait well? After 4 weeks of this series what character trait do you consider God is calling you to work on in your own life for this season of your life and circumstances? How are you going to go about it? If possible share it with someone who you can be accountable to for its development. 1. V2 & v20 ‘the Lord was with Joseph’. Do you think that others can see the Lord is with you in your life? How do you think you demonstrate this in your daily living? 2. V9 Joseph resists Potiphar’s wife and exclaims ‘How then could I do such a wicked thing and sin against God?’. How do we recognise temptation for what it is and know that certain actions would be against what God teaches? 3. What are your biggest temptations? How do you deal with them? Do you try to justify them? If so why do you think you do this? If not do you think it doesn’t matter if we give in? After all God loves you? 4. Do you think it benefited Joseph to resist Potiphar’s wife taking into account where he ended up for resisting? 6. How do you think Joseph felt about being in prison? Have you ever suffered injustice, been falsely accused? How did you deal with the emotions? Reflect on times when you have felt you were in a pit/prison. Did you know God was with you? 7. Consider what it means to live with integrity as a follower of Jesus. Temptation is a fact of life and it is good to have a plan to deal with it when it happens. What is your strategy for dealing with temptation? 9. Other scriptures to discuss or use for personal meditation: Luke 11:4, Matthew 26:41, 1 Corinthians 10:13, 1 Timothy 6:9.